This post will guide you through fixing an AT&T Galaxy S4 SGH-I337 that’s having problem with the Face Unlock feature. I am unable to unlock my device using Face unlock. The device displays "Maximum Face Unlock attempts exceeded." The device prompts me to "Blink now." · Lighting is too bright or too dim. · Device not held at eye level. · Face not aligned within the facial recognition area. · You did not blink (if Presence check is enabled). · Eyewear is not recognized. · Front-facing camera's view is obstructed. 1. Verify you are in a well-lit area. The camera cannot recognize you if you are in a dim or overly bright area. 2. Verify the front-facing camera area is clean and free of any obstructions such as a case or cover. 3. Remove any eyewear, hats, masks, etc. The camera requires an unobstructed view of your face. If you receive the message "Maximum Face Unlock attempts exceeded," you will need to enter your alternate unlock PIN or Pattern to gain access to the device. 1. 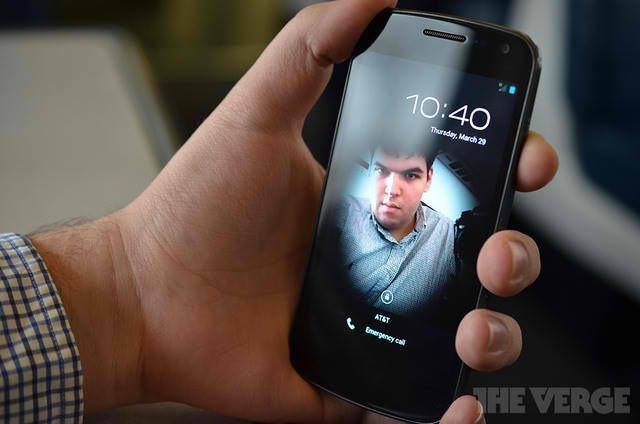 While on the Face unlock screen, hold the device at eye level and look directly at the device. 2. Align your face within the empty space. Do not hold the device close to your face; the camera will need to detect your face before unlocking the device. 3. Hold the device still until your face is recognized and the device is unlocked. For an older device, touch Menu > Settings > Lock screen > Presence check. If you cannot unlock your device using the Face unlock method, you can touch the X icon to use the backup PIN or Pattern. If you cannot remember the Pattern or PIN lock, follow the directions below. If you forget your device's lock pattern, you can reset it using your Google™ Account credentials. When you enter the wrong unlock pattern too many times, "You have incorrectly drawn your unlock pattern 5 times" displays on the screen. Touch OK to continue. At the bottom of the screen, touch Forgot Pattern. Enter your Google Account Username and password, and then touch Sign in. The device will then be unlocked. Note: The Forgot Pattern option will appear only after entering the incorrect Pattern five times and if a Google Account is present on the device. Please contact your Mobile Service Provider from a different device for further troubleshooting.